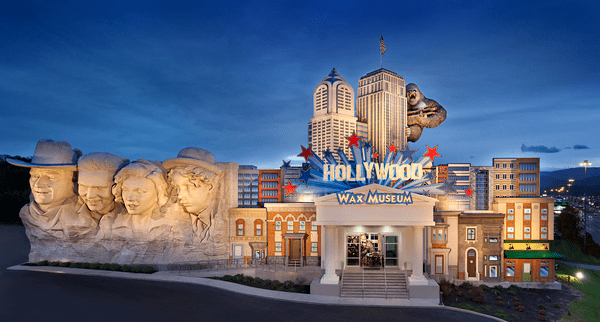 Hollywood Wax Museum Review by Niki Stutts | Score Big Savings at Hollywood Wax Museum NOW! To celebrate our fifteenth wedding anniversary, hubby and I decided to jet away to Gatlinburg for the weekend and no trip to the Smokies would be complete without a visit to the Hollywood Wax Museum and Hannah's Mirror Maze. 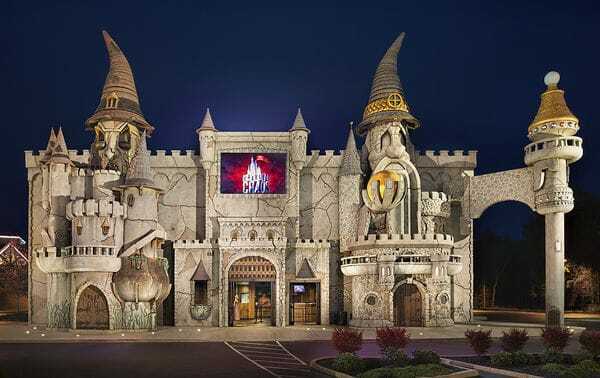 If you've ever been to Pigeon Forge, you have undoubtedly seen the huuuuge statue of King Kong peering from the Empire State building and if you've never checked it out, I highly suggest you do... soon! My Readers receive $2 OFF ALL ACCESS PASS. Enormous fun awaits you below the Great Ape of Pigeon Forge! But the 40,000-pound primate isn't the only star you'll see at the world-famous Hollywood Wax Museum. In fact, you can pose with the biggest stars, while learning about their pets, pet peeves, and accomplishments. Movie buffs, pop culture lovers, and everyone who wants to step into the spotlight with the stars will enjoy the fun, entertainment, creativity and artistry. Plus, with the All Access Pass, you get to take a ride up into the mouth of Great Ape and see the spectacular Smoky Mountains from the VIP Observation Deck (weather permitting). Are you The Chosen One? In Hannah's Maze of Mirrors, find your way through the mirrored corridors hidden inside the Castle of Savannah to save Princess Hannah from the curse of Ugly Hetty. 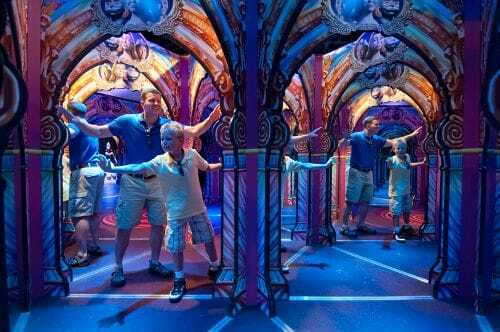 You'll have to make your way through 288 potential turns among hundreds of mirrored walls and archways and several sections where you see infinite reflections in every direction. Join the battle against evil at Castle of Chaos, the world's first 5D haunted attraction. Your mission: help the Paranormal Professor find out what supernatural activity is lurking inside. Soon you'll find yourself in an all-out shooting adventure where the highest scorers appear on the screen. Finally, in Outbreak - Dread the Undead, you must stop a worldwide viral outbreak! Chemacorp might mean well with Alpha Strain, but the gene-altering substance turns humans into zombies. The challenge? Rid the world of Alpha Strain and prevent a total zombie apocalypse!